CYMS disclosed this in a statement by its Director of Media, Gabriel Otobong, on Saturday in Abuja. 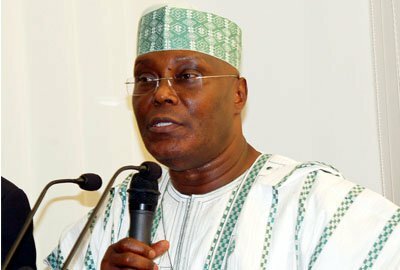 It stated that SWAT with 800,000 members, formerly supporting the Peoples Democratic Party, PDP, Presidential Candidate, Atiku Abubakar, was officially received by CYMS Director-General, Obinna Nwaka, at the committee’s head office in Abuja. It disclosed that the SWAT was received into CYMS after a meeting between national executives of the two organisations in Abuja. It quoted Mr Nwaka as commending the group for its courage, while highlighting some of the reasons why Nigerians should support the re-election of Buhari. Mr Nwaka assured the group of support and promised to integrate them officially into the CYMS programmes. He said that SWAT has officially collapsed its structure into CYMS to ensure the re-election of Buhari. It added that the group described Abubukar’s political ambition as “fetching water with a basket.” Mr Adegoke in a telephone interview with newsmen confirms the collapse of the structure of SWAT into CYMS, noting that discussion about it was still ongoing.